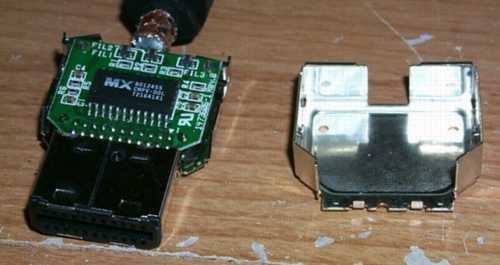 This page is designed to show you how to convert the Nintendo GameCube Component Video Cable for RGB use. In addition to tweaking the chip inside the cable to make it output RGB this page will show you how to switch out the standard cable with a HD-15 monitor cable like the one shown below. When the GameCube was initially released there were two plugs in the back of the unit. 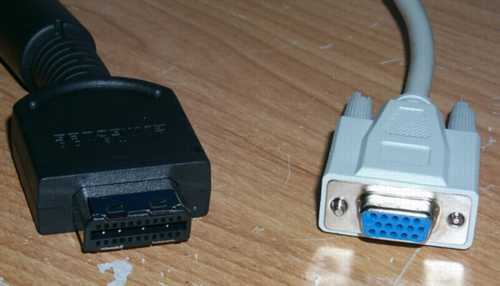 One was for the standard AV plug that was used in previous consoles like the SNES and the Nintendo 64. The other was for a Digital AV plug which was used for Component Video and Digital Sound output. To save space, money, and time the chip that was used to convert the digital signals to analog signals was placed INSIDE the cable (inside the plug that was connected to the GameCube). Although the cable was meant to output Component Video someone managed to hack the chip to make it output RGB Analog Video instead. 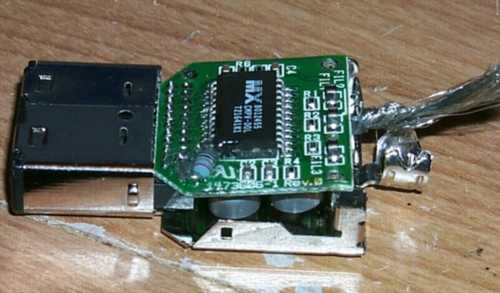 The hack is simple in concept but a little tricky in execution. 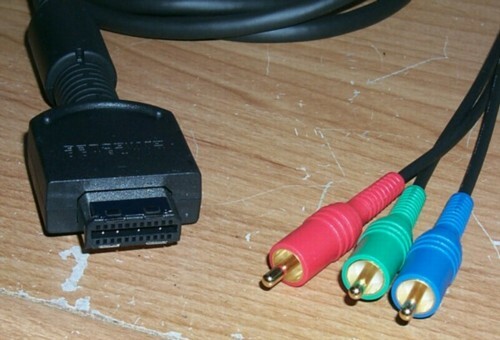 The cable was only available through Nintendo and was not sold through game or retail stores. Because of low sales of the cable Nintendo decided to remove the Digital AV plug in newer versions of the GameCube although you could still have the plug installed if you wished to have it. As of February 2006, however, Nintendo no longer manufactures the GameCube Component Video cable. Once the cable is modified the GameCube outputs great 15Khz RGB Analog video and does an excellent job on 31Khz Progressive Scan RGB Analog video. However, most of today's VGA monitors won't do 15Khz RGB so you have to make sure that the GameCube game you are wanting to play on a VGA monitor is Progressive Scan capable. A lot of GameCube games, including the Game Boy Player, do support Progressive Scan but it should be noted that only the NTSC releases support it. On the bottom of the plug are six rectangular holes. These holes allow access to the six latches that keep the plug together. What I did was to put a probe into one of the holes and angled it to pry one of the latches apart and gently pull the case apart as each latch was pried loose. Eventually you will end up with something like the picture below. In the picture you will see the two main case pieces and the plug itself. Prying the ground shield from the plug is a little tricky. You will need to pry off one side then the other side until it comes off. When it does come off you will expose the chip like in the picture below. 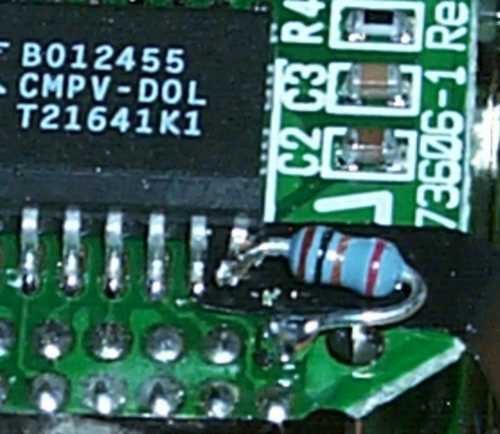 In the picture below you will see a close-up of the chip. 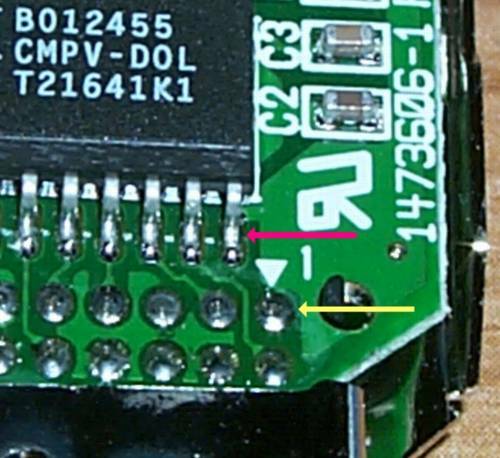 The pink arrow is pointing to Pin 12 of the chip and the yellow arrow is pointing to Pin 1 of the Digital AV plug of the cable. 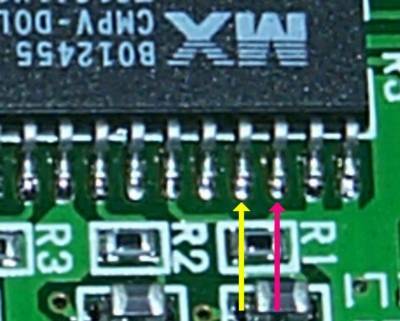 To get the chip to output RGB instead of Component Video you have to hook up a 10K ohm (2% if possible - 1/8 watt size if possible) to Pin 12 of the chip and Pin 1 of the Digital AV plug. However, you must lift Pin 12 of the chip off of the board. 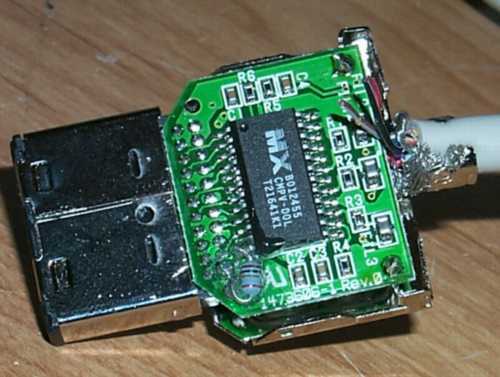 To do this you use some De-soldering Braid on the pin. 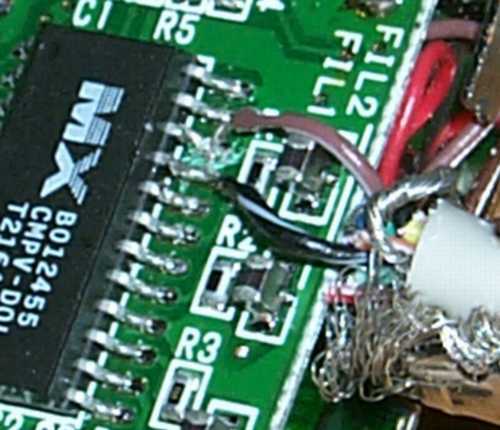 Spend no more that 5-6 seconds on the pin to get off some of the solder. Next, get a X-Acto knife and very gently pry the pin off of the board. You might hear a faint snap as it comes off but that is okay. Once the Pin 12 is off of the board you now have to connect the resistor up to it. After trimming the resistor to fit, solder one end to Pin 12 of the chip and the other end to Pin 1 of the Digital AV plug. The best solder to use for this part is a silver based solder. The picture below shows what it looks like when properly done. The electrical tape is there for testing purposes and I would later use a clear acrylic coating to protect and insulate the area. When you switch the chip to RGB mode not only does it switch from Component Video it also turns off the sync on the green line and activates Horizontal Sync and Vertical Sync on Pins 21 and 22 respectively. 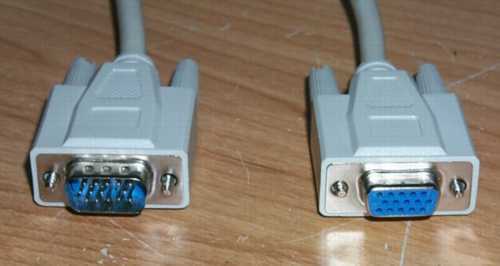 This also means that the three RCA jack cable is no longer useful since it won't be able to provide adequate sync to the monitor. So now the cable needs to be replaced. To start I cut off the male end of the HD-15 cable I showed earlier. I then cut off about an inch and a half of the insulation so I can get at the individual wires within. I strip off a little from each end of the wires and do some continuity testing to find the three video lines, the three ground wires for each video line, and the two sync lines. After finding all of the necessary wires I cut off the wires I won't be using, strip the insulation off of all three ground wires, braid the three ground wires with the main ground shield wire, and twirl it around near where the insulation was cut. Now it is time to remove the cable from the GameCube plug. To start I pry the clamp from the cable as shown below. After prying the clamp from the cable I then de-solder the ground shield from the PCB. There are two posts at two of the corners. One of them is highlighted with a yellow arrow. 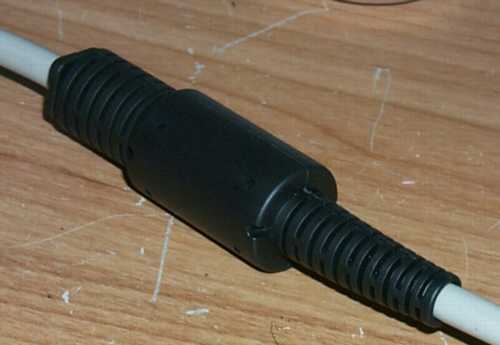 Unfortunately, because of the way the plug is constructed, you cannot totally take it apart. The best you can do is to pry the shield off a little to gain access to the main video wires as shown in the picture below. Notice how the wires are positioned Green-Blue-Red not Blue-Green-Red. 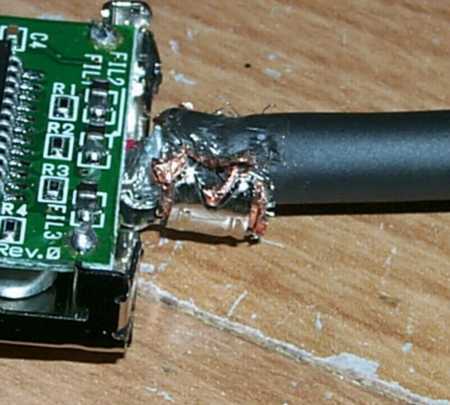 To remove a wire you have to use a thin soldering iron to go inside to melt the solder long enough to allow you to pull the wire away. I used a pair of tweezers to help pull the wires off of the board. I then cut the cable about two inches from the plug and strip off everything except the main ground wire. 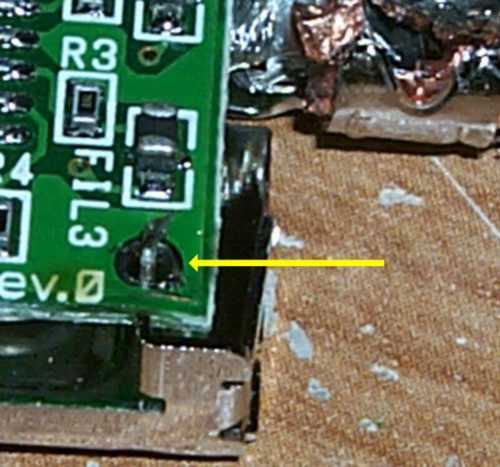 You cannot remove the ground wire from the board but you won't need to. When all is said and done you should have the plug looking like what is shown in the picture below. 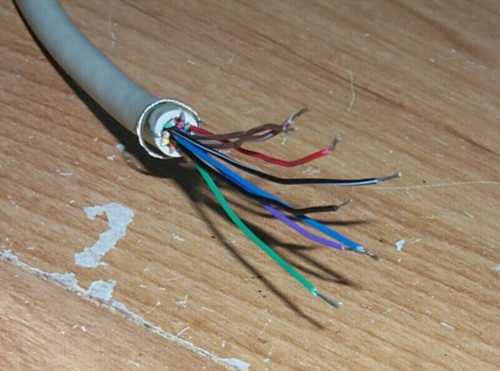 Before doing anything else, remove the stress relief from the old cable and put it on the new cable. The monitor cable I used for this project just happened to be the exact diameter of the original cable so the stress relief fit like a glove. One of the trickiest parts to this is to take the three video lines from the monitor cable and solder them to the PCB. What I did is to tin the wire for the green line and put a small blob on the end (using silver based solder). Then I placed the wire between the shield and the board and moved it around until the end was right where it needed to go. Then I quickly put the soldering iron through the gap and soldered the wire into place. I repeated the process for the other two video lines. After that I clamped the cable into place making sure that the main ground wire was touching the ground wires for the cable. This completed the necessary ground connection for the unit. After that I soldered the ground shield back onto the PCB. In the picture below I have pretty much done everything except to connect the sync lines. In the picture below you can see where I marked the sync lines. Yellow is Horizontal Sync (Pin 21) and pink is Vertical Sync (Pin 22). 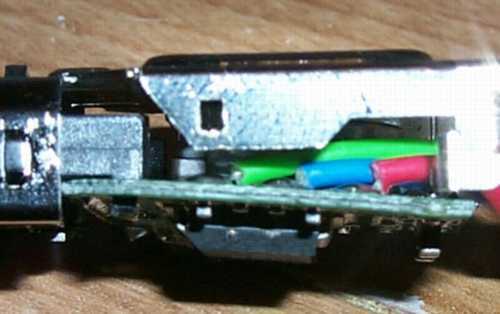 After trimming the wires and tinning them I then soldered them to their respective pins as shown in the picture below. The black/white wire is for Horizontal Sync and the brown/white wire is for Vertical Sync. I also scraped the area between the two pins to make sure that they weren't touching each other. After connecting the sync I then covered the area with insulating compound and let it dry. After that I put everything back together. For the ground shield you have to hook the bottom part under the PCB then squeeze it closed. The stress relief fits into the case one way. Make sure you have it properly positioned before closing the case back up. Once reassembly is done you will now have a complete RGB modified GameCube cable like in the picture below. 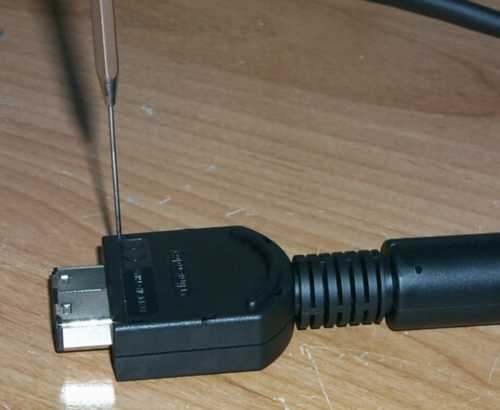 You can hook the cable directly up to the end of a HD-15 monitor cable if you want. However, if you want to hook it up to a Commodore monitor, like the 1084, you will need to create Composite Sync. This is done by running the Horizontal Sync through a 1N4148 diode and running the Vertical Sync through an 820 ohm resistor then connecting the two lines together (sync mix by viletim!). 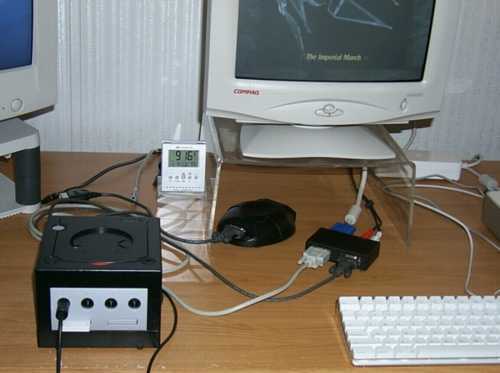 One option I have done for myself is to make a special box just for the GameCube for use with my NEC MultiSync 3D monitor. I put in a HD-15 (male) and a DB-9 (male) plug on one side and two RCA jacks plus a HD-15 (female) plug on the other side. In the picture below you can see the box. The beige cable is the GameCube cable and the gray cable is my SNES/N64 RGB cable which is used for the sound. The rounded box in the background is my standard RGB box that has a EL1883 sync chip inside and is used with my custom made RGB cables for my other consoles. The gray cable connected to it is going to my Xbox. If you have a 9-pin Commodore monitor you can do something similar. You can put a 9-pin plug in place of the HD-15 (female) plug and you can use the sync mix method mentioned in the first paragraph within the box to create Composite Sync. 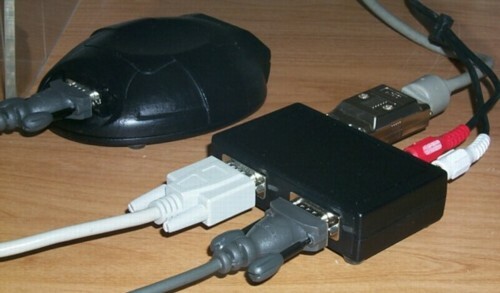 Then use a 9-pin serial cable to connect the box to the monitor. To start up a game in Progressive Scan, put the Progressive Scan capable game in the GameCube. Before turning it on, hold down the B Button on the GameCube controller. Turn on the GameCube. After about thirty seconds or so a message will come up on the screen asking if you want to start the game in Progressive Scan and the Yes option is highlighted. It should be noted that if you are using a standard VGA monitor you won't see this message because the startup screen is in 15Khz. After about ten seconds the game will boot up in Progressive Scan mode on its own unless you choose No. It should be noted that when using the Game Boy Player you don't need to hold the B Button on startup. The Progressive Scan question will come up on its own. A demonstration of the GameCube in VGA mode is shown in the picture below using “Star Wars: Rogue Squadron II” for the software.